Are you in the market for a new smartphone? Have patience. If you get a smartphone now, you may very well regret it in a few months. Why? Well, the smartphone landscape will most likely be quite different by October or November as Apple and Microsoft are expected to launch their next generation smartphones. The rumor mill is in high gear speculating about the next generation iPhone. There are--as always--a wide variety of iPhone rumors floating around. It will be bigger--longer, but not Samsung Galaxy Note or even Samsung Galaxy SIII bigger. It will be 4G / LTE. It will have NFC. It will use a smaller connector for charging and syncing. 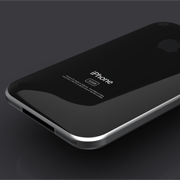 It will be called the “New iPhone” instead of the “iPhone 5”. The list goes on and on (and on). There is nothing official from Apple yet, and no guarantee that a new iPhone will launch this fall at all, really. But, Apple follows fairly predictable cycles, so a new iPhone should be unveiled by October, and it will most likely include at least some of the features and capabilities currently being speculated. On the Windows Phone side, Microsoft has already pulled back the curtain to show us some of what Windows Phone 8 has in store. Windows Phone 8 looked impressive in the Microsoft media event, but the most crucial element of the new Windows Phone platform is the fact that Microsoft has confirmed that no existing Windows Phone devices will be able to upgrade to the new OS. If you buy a Windows Phone device today it won't be able to upgrade to Windows Phone 8. On the Android side, things aren’t so bleak. Google has already released its latest version--Android 4.1 “Jelly Bean”. The update has been pushed out to the Galaxy Nexus smartphones (unless you have the misfortune of being a Verizon customer), but if you have an Android device it’s always a bit of a crap shoot when (or in some cases “if”) you will be graced with the new version. By fall there should be many more devices that come built with “Jelly Bean” out of the box so you won’t have to play that game—at least not for this version of Android. Perhaps your contract has expired and you’re eligible for a subsidized upgrade, or maybe you’re ready to make the switch from that old flip-phone you’ve been using. Whatever your reason for wanting a new smartphone, just hold out for a few more months and wait for the next generation of smartphone options to hit the shelves. It’s the nature of technology that it evolves rapidly and your new device is sure to be obsolete before you know it. But, if you exercise patience and wait until fall you can choose from an array of cutting edge devices, and at least be relatively sure that your brand new smartphone won’t be obsolete before the holidays.